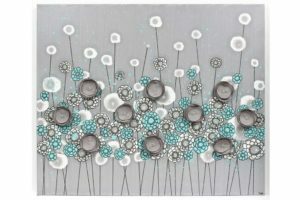 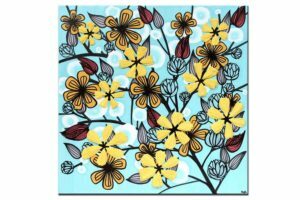 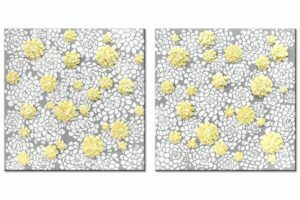 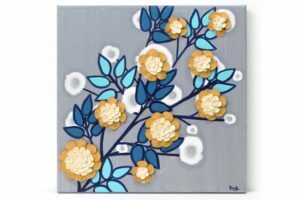 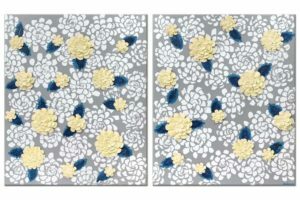 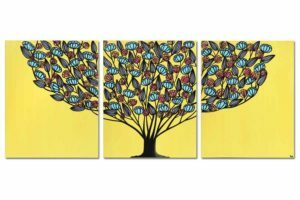 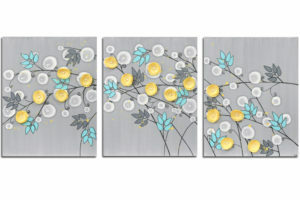 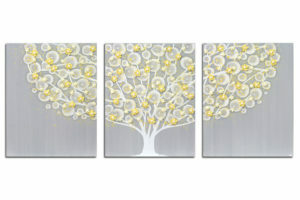 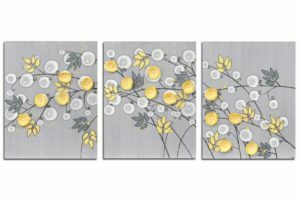 This collection of gray, yellow, and aqua wall art by Amborela is designed to coordinate with bold home decor. 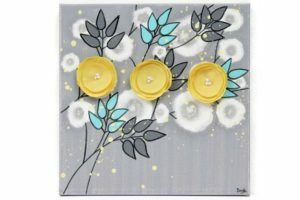 Accents of black India ink and fruit punch pink add a twist to the classic gray and yellow color scheme. 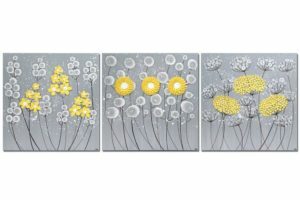 For a softer color palette, visit the gray and yellow art nursery collection.